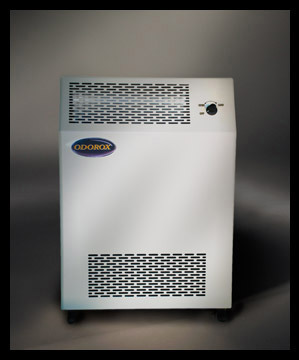 The Odorox® range comprises various hydroxyl generators (we stock all 11 different types in the UK) that have been designed to meet a wide range of specification, industries and uses according to different space capacities and air decontamination needs. The generators basically vary as to the type and number of optics, presence and capacity of a fan, ability to be fixed to an existing HVAC system and the sophistication of their monitoring controls. Please review the models listed and/or contact OHT and we will gladly answer any questions you have about a specific product, need or application. *Please note throughout that whenever we mention that a particular model has a specific area coverage this is approximate and generally assumes average contamination levels with average ongoing recontamination. Larger or more heavily contaminated areas may need more than one unit or use of more powerful models. Please note also that when we talk about 'area coverage' this assumes an average 9ft (or approximately 3m) ceiling height for space capacity purpose. Higher ceilings may require either multiple units or more powerful models for the area quoted. Suitable for general medical, clinical, institutional, commercial, or residential use up to 1500 sq.ft. (150 sq.m.). 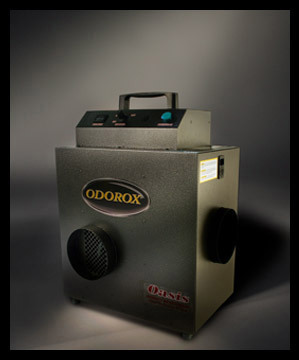 The Slimline™ unit is generally speaking a more powerful version of the SanX™. 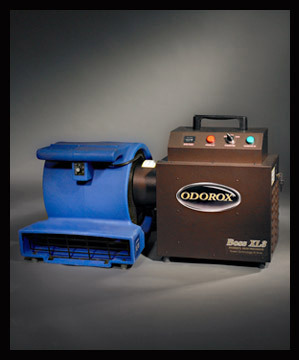 The Odorox® Induct Unit (IDU) is designed to be fitted directly and permanently into an existing HVAC system enabling coverage of up to 3500 sq.ft. (350 sq.m.) and has variable optic control. 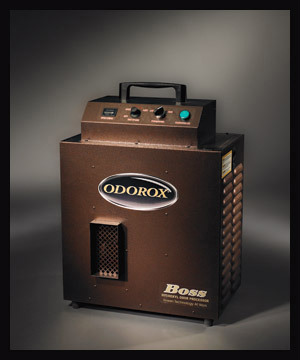 The ODOROX® Boss XL3 unit is designed to be linked to an external air mover and can deodorize, decontaminate and dry up to 4000 sq.ft. (400 sq.m. 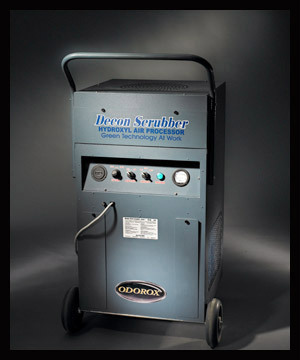 )and beyond depending on the type of air mover. 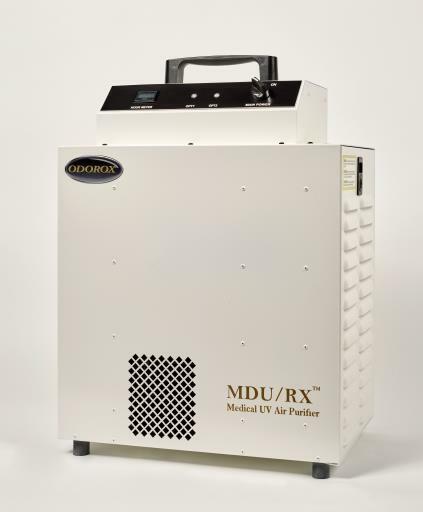 The commercial & industrial models create higher concentrations of hydroxyls and enjoy even more sophisticated management systems so the technology can be effectively used on some of the toughest and largest decontamination and purification needs. 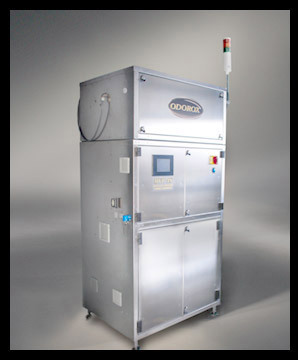 The larger MVP machines can be further customised to meet specific space and contamination needs such as separate control panels as well as built in sensors so that as the contaminant is eliminated, the machines self regulate to ensure the job is being done as efficiently as possible. 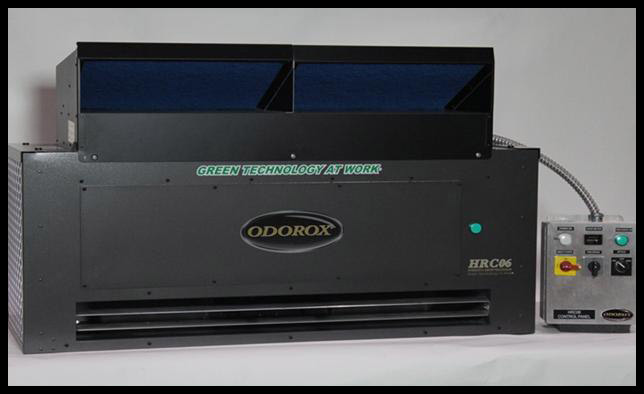 The Odorox® Hydroxyl Room Curtain (HRC06) is usually wall mounted to eliminate odours, bacteria, viruses, VOCs and mould contamination in areas up to 5000 sq. ft. (500 sq.m.) 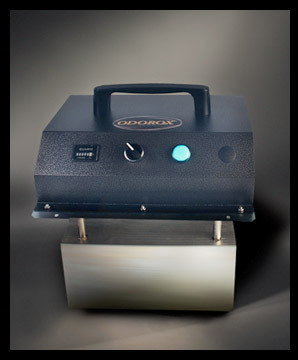 It produces a horizontal 'curtain like' hydroxyl cascade ideal for certain locations and applications. 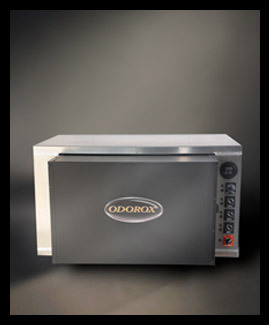 The Odorox® MVP14 (Master VOC Processor) product line is the smaller version of the most technologically advanced industrial foul-air management system in the world. 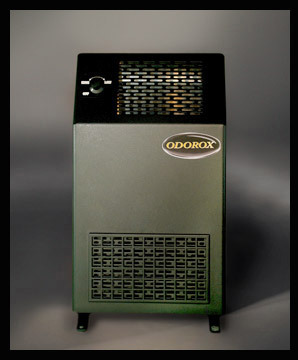 The Odorox® MVP48(Master VOC Processor) product line is the big brother of the MVP14 and represents the ultimate industrial air purification management system available in the world.